You never get over your first love. How about your first murder? Tipee Island isn’t just a beachy cool vacation spot, but the perfect place to start over. Gutsy, but error-prone, Delilah Duffy returns to the island she loved as a child and hopes to reinvent herself as manager of Beach Read Books. But, disappearing into the anonymous folds of a tourist town isn’t easy. Her arrival in Tipee Island sets off a string of disturbing acts of vandalism. The message is clear – everyone wants to see her fail, even members of her own family. When a man is murdered in her bookstore the night before her grand opening, Delilah tops the short list of suspects. The evidence mounts along with the ill-will of islanders who don’t want her there in the first place. If Delilah Duffy has a shot at the beach life, she must navigate a vicious family feud, outrun a dark past, and uncover the truth. It’s not only her business, but her very life that’s in danger. 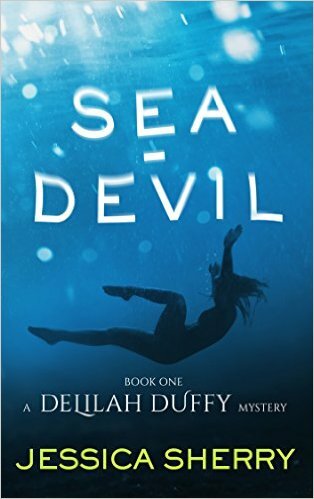 If you’re looking for…a cozy mystery with a dark side, some laughs, gasps, and a little murder, a heroine you’d like to take out for coffee or join for a beer on the beach, fun, smart, beautifully messy characters, contemporary mystery, romance and suspense…then, dive into Sea-Devil!